Alternative Tentacles released this album and is dedicated to saving the Headwaters. 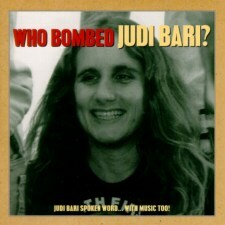 This album is a combination of spoken word and music of Judi's recorded contribution to the effort to save the Headwaters. Passionate, intense, funny and honest, Judi inspires a deep commitment to the importance of the forest, of political action, and of free expression to change the world and make a difference. We shall miss her.